Understanding Design is an association whose objective is to enhance the culture of contemporary and avant-garde design. 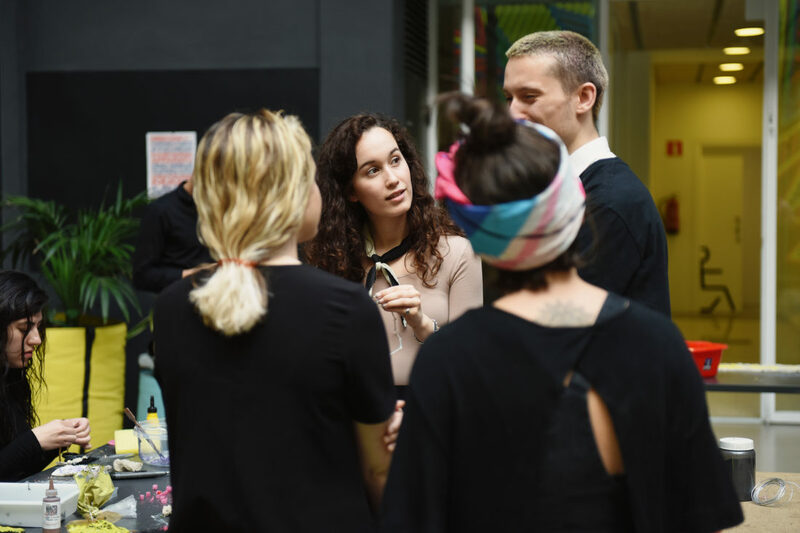 It is proposed as an ongoing program focused on professionals, young creatives and the general public, which presents a cycle of activities structured around the experimental, multidisciplinary, industrial and artisan, open, shared and unknown, focused on the field of design. 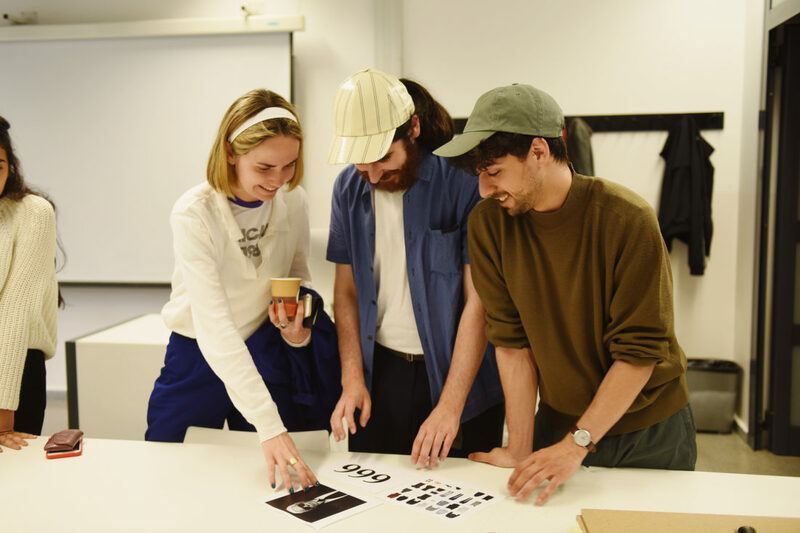 The potential of Understanding Design lies in investigating and sharing new design methodologies and creative processes of designers with international projection, generating their own content through new informative and experiential formats. In 2019 we will explore under the concept of Identity, the multiple meanings of this word and its relation to design. Gender, identification, cultural appropriation, globality, locality, sense of belonging, public and private profile. What is identity? Who defines it? Can design talk about identity? Do the objects have an identity? And gender? And nationality? Can the materials and processes have a designation of origin? Does the nomenclature give identity to the object? Or the object to the nomenclature? Below you can check the activities from 2018 which were structured around the topic New Realities. 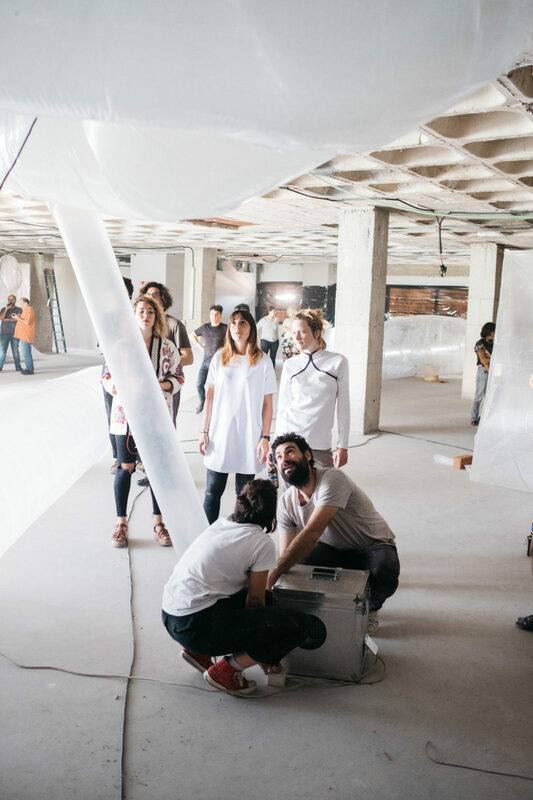 Talks, workshops, an installation and a collective exhibition, were held in Barcelona and l’Hospitalet (16→19.05.2018), focusing on New Realities, to explore the role of design in the conception of new scenarios, phisical and conceived through the virtual. This series of Understanding Design activities were curated by Diego Ramos and Saúl Baeza. The name comes from one of the four works presented, a sculpture with internal mechanisms that strike from inside but can not be seen: it is like an interior call. Sosaku is from Japan, Lolo from Argentina. They met in 2004 in Barcelona, where they currently live and work. 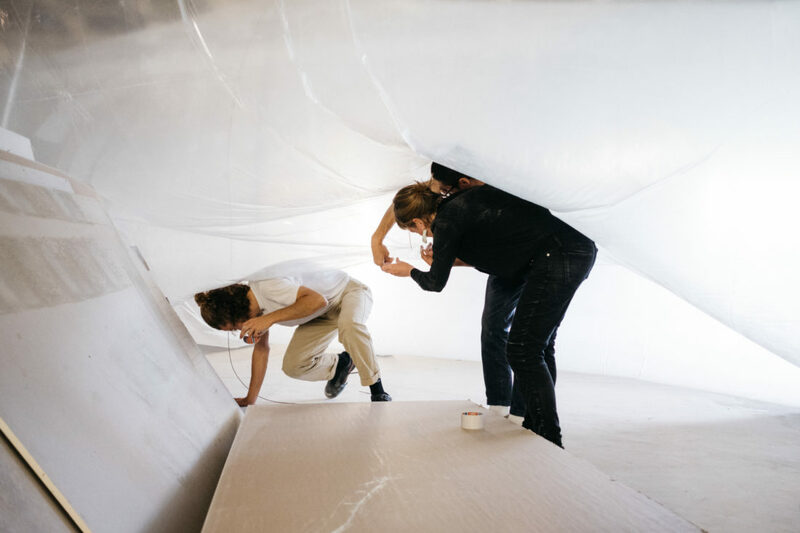 Since its beginnings as painters, artists, sculptors and video artists, this duo has not stopped experiencing, completely obsessed with finding something new. Years ago they began to create sound sculptures that use natural forces such as pendulums and making electricity alive through sound. 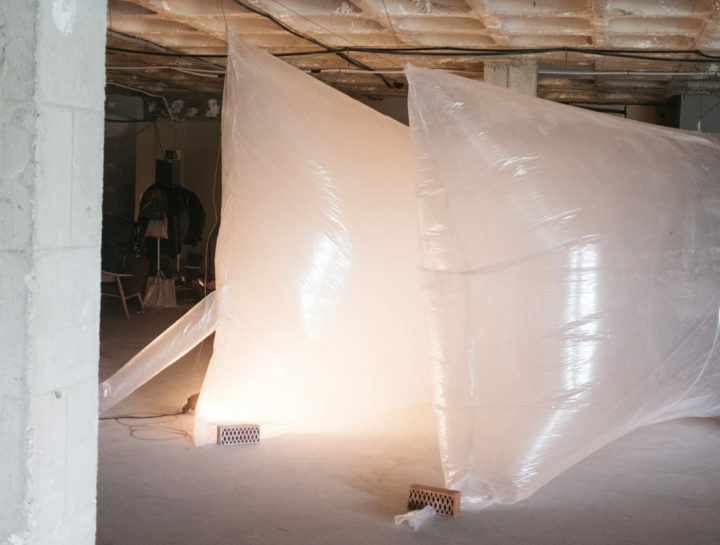 When Lolo and Sosaku imagine a sound sculpture, they retain only the essential structure, the fragile functional skeleton that allows us to see the stages of the creative process. A rudimentary geometry of simple lines, made of rope, wood, motors and pendulums randomly waving. Studio ilio, designer Dom Sebastian and MAIO architects were running one-day workshops at Elisava, LCI Barcelona and ESdesign (respectively), working on the creative processes and experimentation from different design perspectives: product-materials, experimental fashion and architecture-interior design. Each workshop was completed with a presentation open to the general public. Check the videos below and the full program for more details. 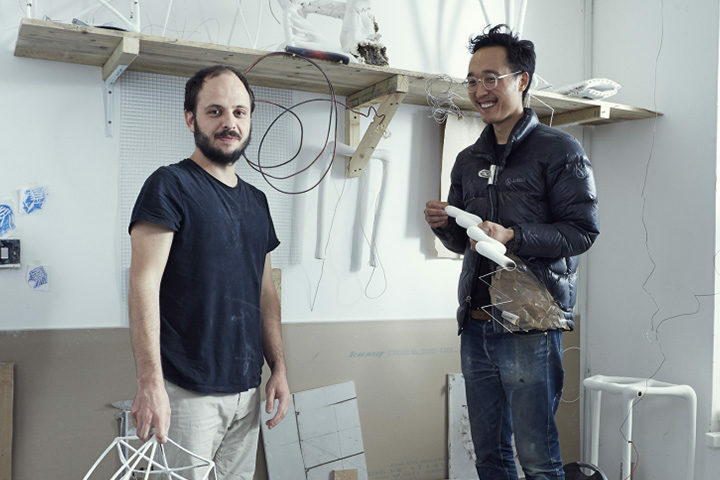 Studio ilio is a London based material research and design studio formed by Swiss designer Fabio Hendry and Korean designer Seongil Choi. Studio ilio is passionate about seeking alternative environments in order to challenge and alter existing manufacturing processes and material uses. They believe that originality in function and aesthetic derives from a unique process. 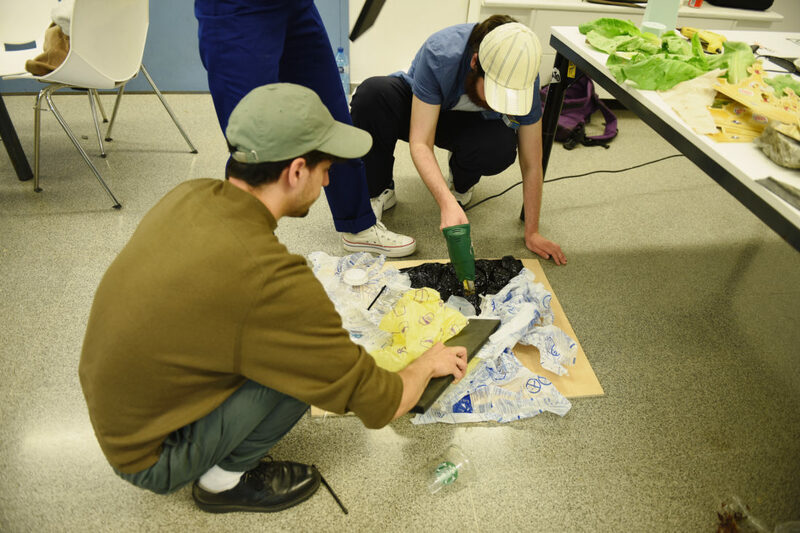 Their innovative products and hands-on experiments explore the boundaries between crafts and industry ranging from furniture to sculptural objects and installations. 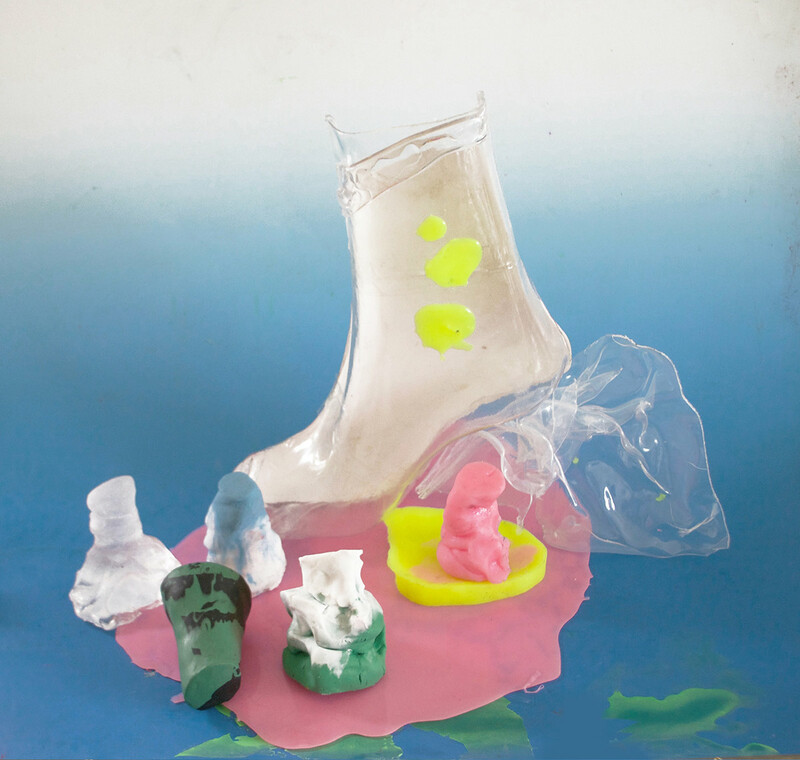 Dom Sebastian is a London based artist and designer whose work explores experimental textiles, fashion and footwear. He also has a background in photography and graphic design. 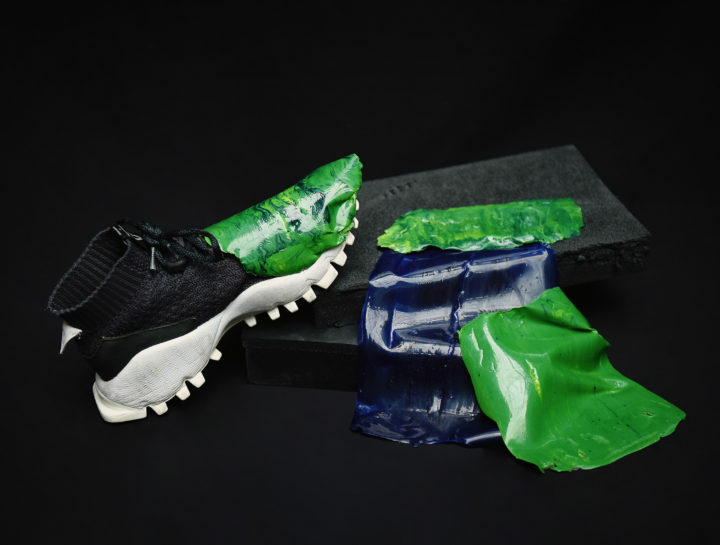 Gel Futures, his most recent project/collection, is an exploration of silicones, thermoplastics and polyurethane systems in textiles and fashion. Dom has collaborated with brands such as Nike, Camper and Microsoft. 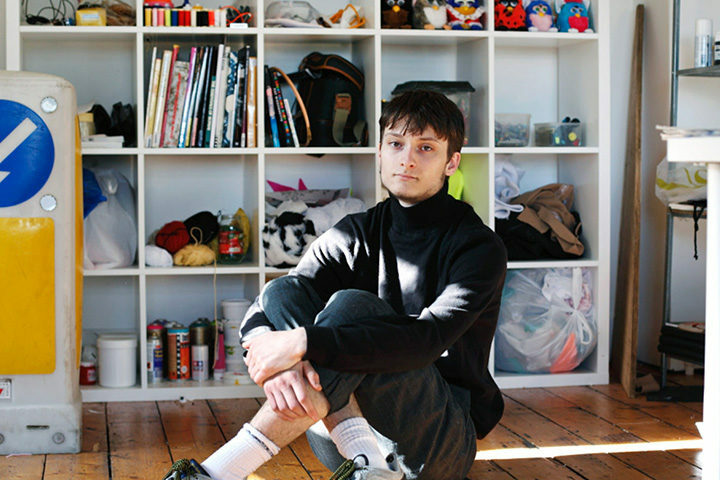 He studied at Central Saint Martins. 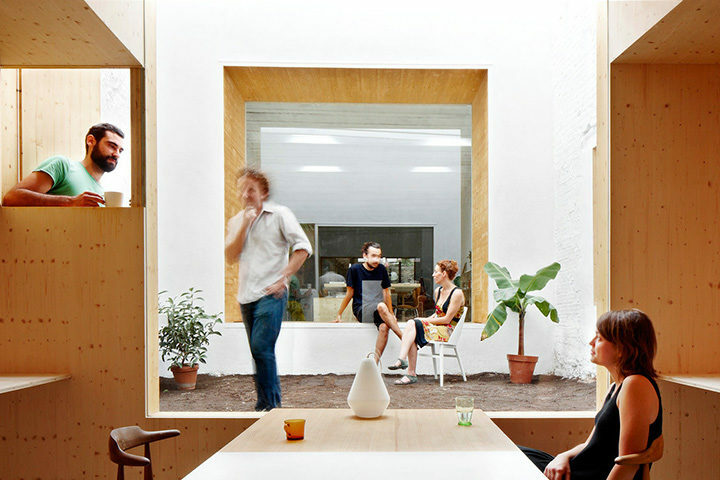 MAIO is an architecture studio located in Barcelona, which works with flexible systems. They have developed projects of variable scales, which include from furniture to residential buildings or urban design. The members of MAIO combine their professional activity with academic research and publishing tasks. At the moment they collaborate as publishers of Quaderns magazine and teachers at the School of Architecture of Barcelona ETSAB/ETSAV. 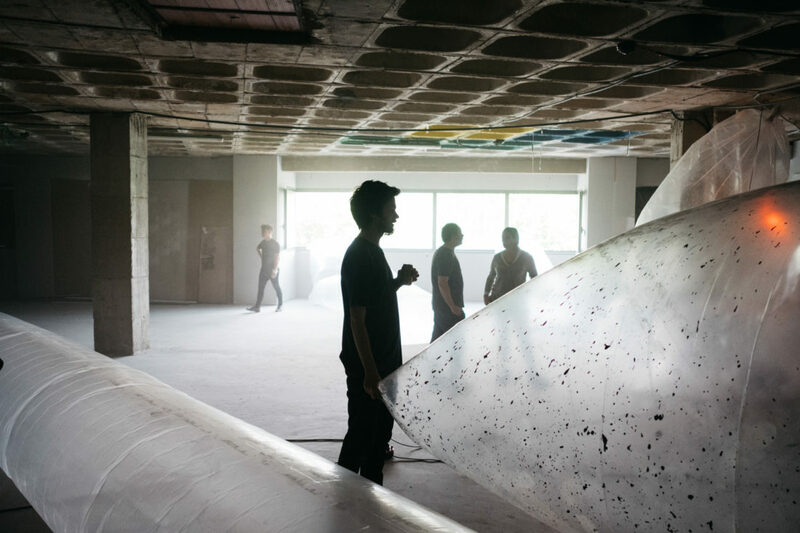 Studio ilio, designer Dom Sebastian and MAIO architects explained their way of working, from experiences and projects that put in value experimentation in the design process. One of the main activities of the festival. 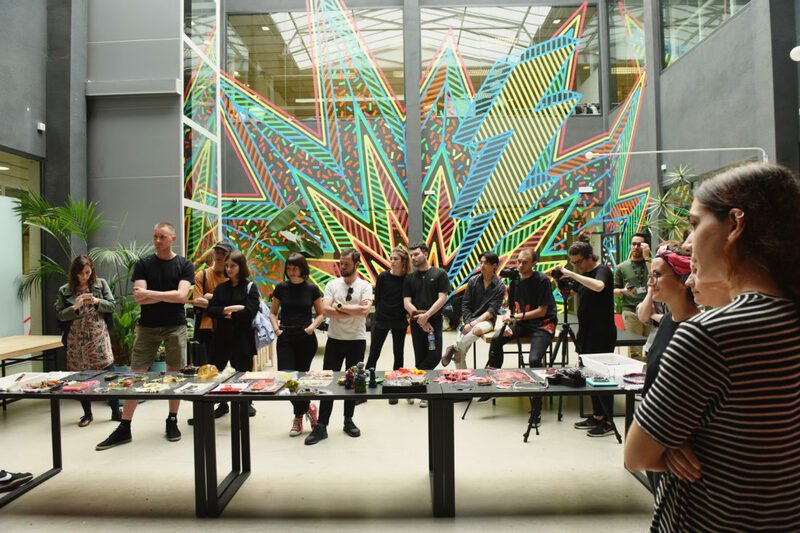 The exhibition’s proposal was a multidisciplinary review through 13 pieces of national and international creators, with the intention of answering possible questions and exploring new realities. Is designing a physical or a virtual act? Is photography the virtual medium of the object? Is light an analog or a digital expression? Through the image, does the object become representation? Does the machine understand the material better than the hand? Can matter be digital? Do we consume more analog design than virtual? What is analog, what is digital? What is physical, what is virtual? 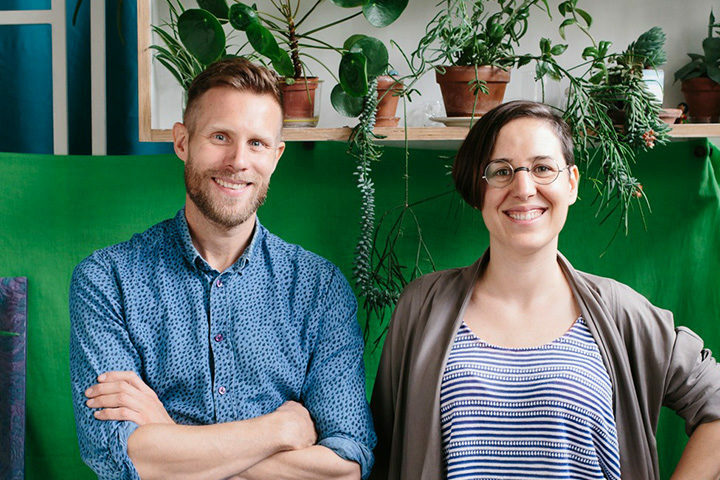 Silo Studio is the collaboration of Attua Aparicio and Oscar Lessing, who formed the partnership while studying at the Royal College of Art. 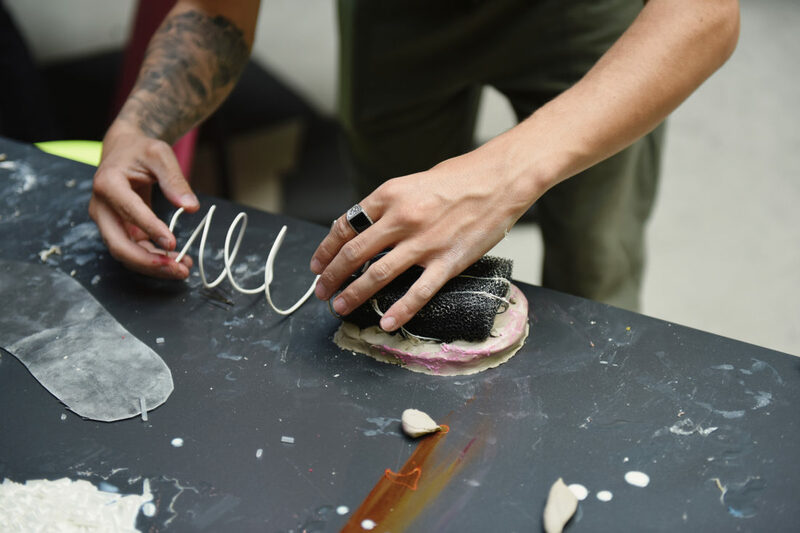 Silo’s work is a mix of craft and technology, which aims to find new ways of making by adopting a hands-on approach, searching the potential of materials and processes. 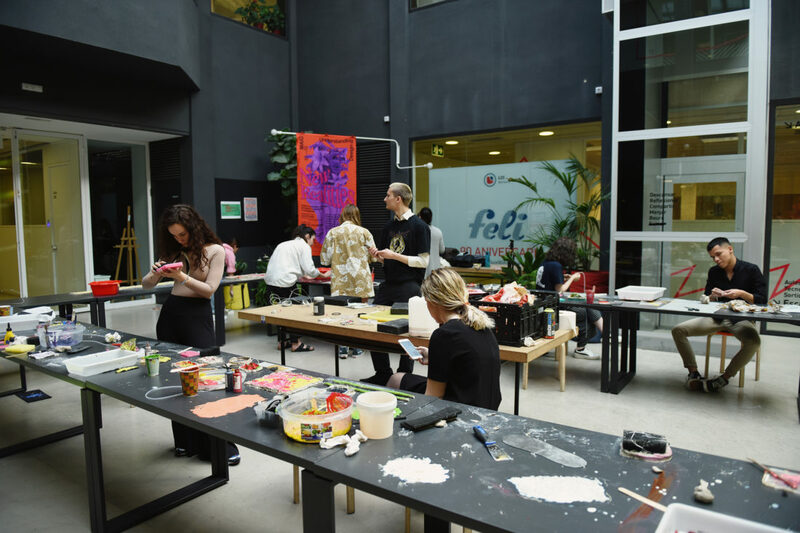 By keeping their developments open and sharing it in videos and workshops they seek to inspire people to question how things are made and to make more for themselves. Sara González De Ubieta is an architect. 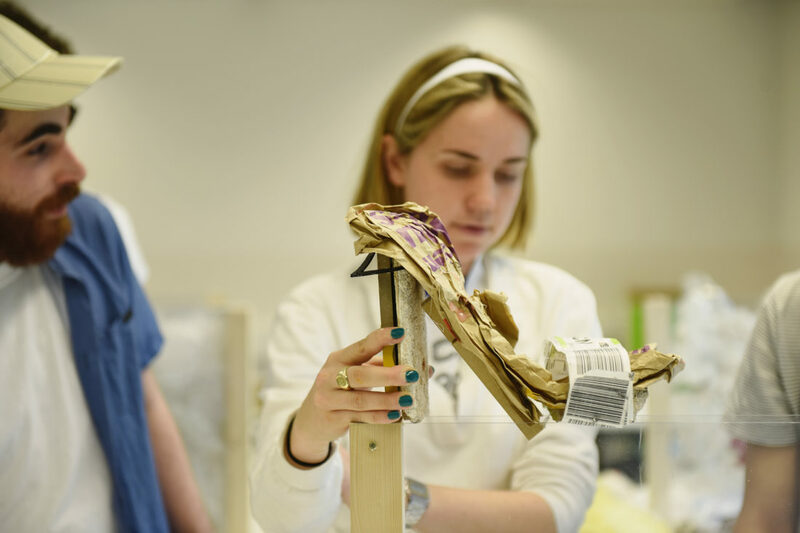 She studied at the ETSAB school (UPC) and has worked in different architecture studios. She developed an interest in matter and acquired knowledge in handicrafts through the footwear technique, which led her to investigate the possibilities of non-conventional materials instead of the work of the form through various artistic projects and research workshops in different universities. 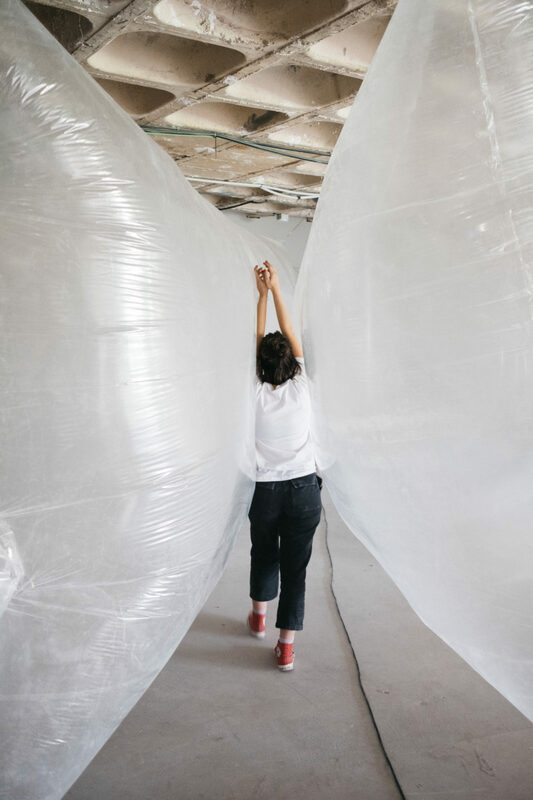 She has also worked as a designer with local factories paying attention to the supply chain of materials from different industries, the supra recycling and the approach to circular economy systems. 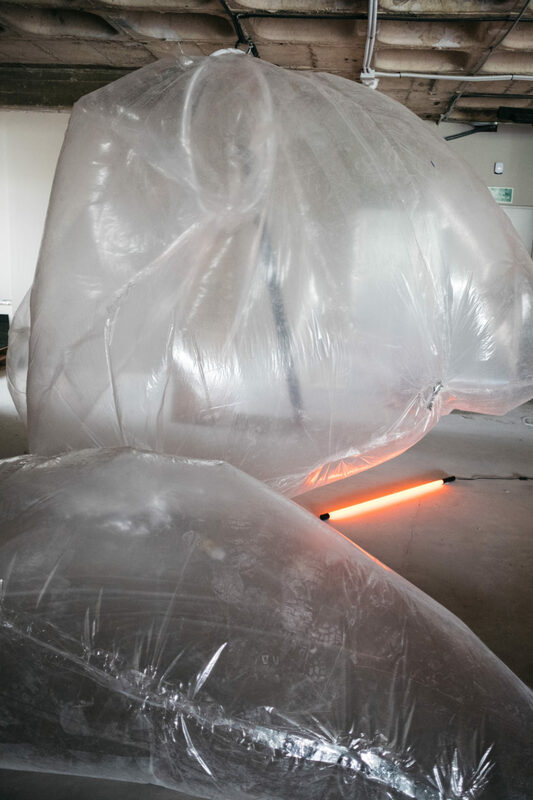 Since several years Sara established a research studio through several artistic projects together with fashion designers Noela Covelo and Guillermo Orjales, carrying out several projects based on the technique and the creation in the agency of the material as a living subject. Roos Meerman researches techniques and processes, using her design mentality to innovate and pioneer. By altering existing machines or tools, she finds new ways to translate her amazement for nature and physics into something tangible. The outcome is used as a way to talk about advancement in technology, as a conversation starter for crossover collaborations with scientists and industrial partners. With a special interest in 3D printing, Meerman explores the potential of this game-changing technique in multiple projects, challenging the boundaries and applicabilities of both material and mechanics. 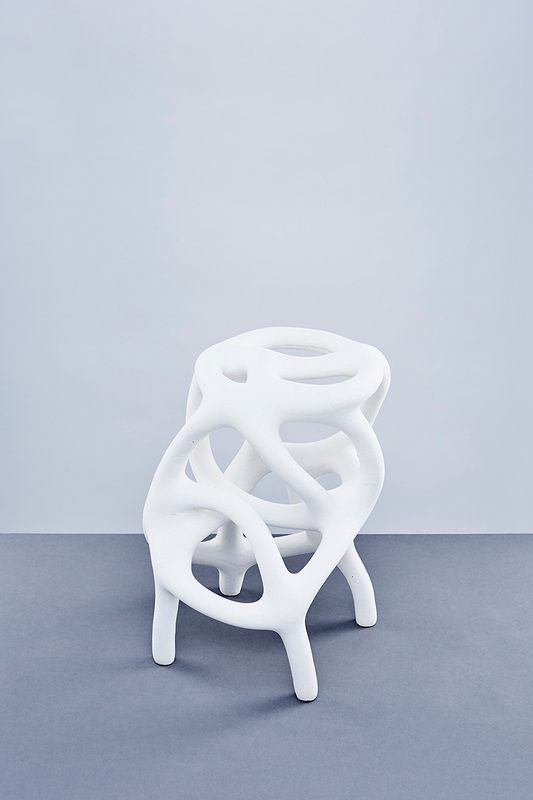 Studio Roos Meerman won the Hendrik Valkprize and New Material Fellow in 2014, as well as the Design & Innovation prize of Gelderland and the Bio Art & Design Award in 2016. Her work has been extensively exhibited throughout the world. Raquel Quevedo, graphic designer and independent art director since 2010. She has been trained in art, design and typography by the Escola Massana and Eina, as well as in advertising by the Autonomous University of Barcelona. During her studies she began to dedicate herself professionally to the world of design and advertising, until the moment she set up her own studio, where she diversified her production since then. Her field of action focuses both on the creative direction for brand communication strategies and on her own projects, where design, art, photography and publishing are combined on a more experimental level. Her work has been awarded nationally and internationally, while exhibited at various graphic design festivals. Lucas Muñoz Muñoz is a Spanish designer based in Holland. 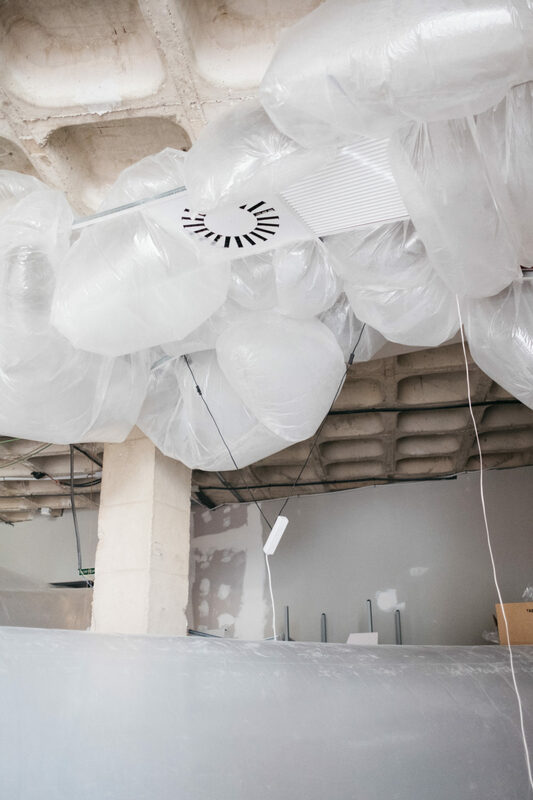 His work, often very experimental, combines and organizes materials and concepts using tools such as humor, consumption data, material relevance and critical vision. Thus, it creates a set of exploratory works as varied as boats, skateboards, sound systems, air conditioners and furniture in general. 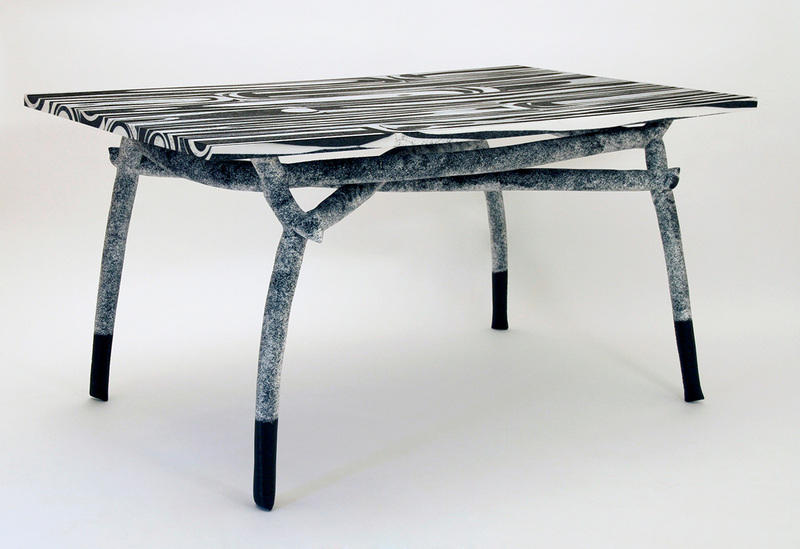 Pieces that he usually makes by hand in his workshop in Eindhoven, nevertheless many of them are born from collaborations with artisans, institutions or other designers during trips. Durrell has worked for over 25 years innovating in physical and digital product design. His work includes products, inventions, installations, software and games. He founded Luckybite and has worked with, Industrial Facility, IDEO, Apple, Interval Research and Berg. He has also taught in both Product Design and Interaction Design at the Royal College of Art for over 20 years. His work has been exhibited at MoMa, Pompidou Centre and the Design Museum. Rob has worked as a technologist for over 20 years and a photographer for 10. During that time, he developed AI software for designing car parts, worked with supercomputers, used CGI to find defects in car bodies, built a data-centre and ran a futures trading system. He has photographed fashion, still life and made machines to automatically create photographs. Rob’s work has been exhibited in London, Los Angeles and Auckland. 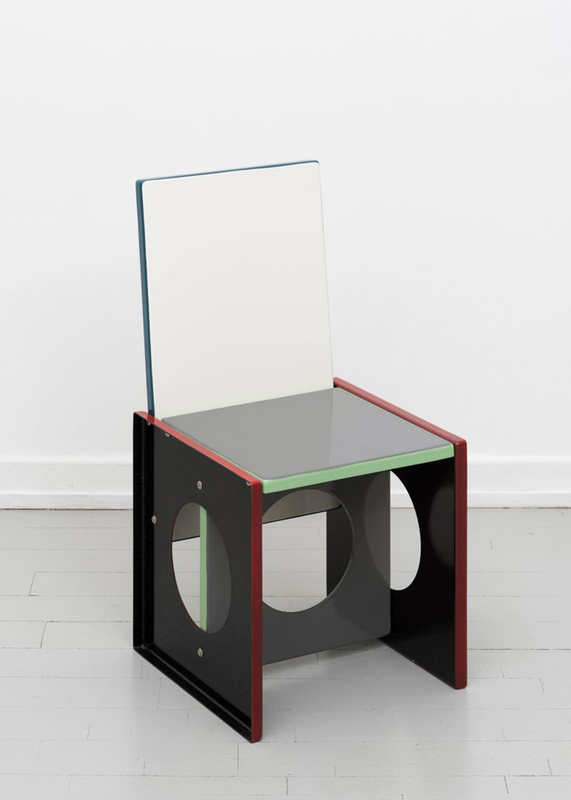 Designer Laureline Galliot is rethinking the methods uses in industrial design and serial production to color objects. To do so she explores the horizons opened up by digital techniques such as 3d printing and virtual coloration. Infuenced by her own digital paintings, Galliot experiments with modelling softwares, she explores new formal possibilities for objects using iPad as a touch screen interface to reconnect design process with hand gesture. This gave rise to a collection of items for domestic use such as money bank, vases, tea pot, jug, tray, spouted bowl, fabrics and carpet designs. Her 3d printed tableware items become part of the french national collections of design at National center of Visual Arts. 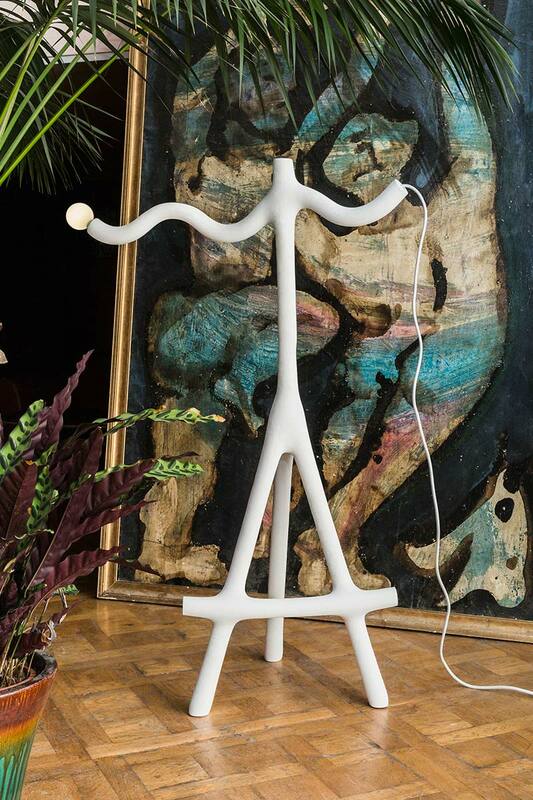 Her 3D printed collection «Contour & MASSE» has been displayed on many occasion from Paris, London to New york, included « Printing the world» exhibition at National Museum of Modern Art Centre Pompi- dou, Paris from March to June 2017. As part of artists in residence from July 2017 to Dec 2017 at villa Kujoyama in Kyoto, Japan - supported by French Institute and Bettencourt Schueller Foundation - she starts to collaborate with japanese crafts- men. She is now working to mix her painterly digital designs to traditional japan crafts such as woven fabrics, masks and ceramics items. Jordi Canudas started up his studio in 2007 in London, after graduating from the Royal College of Art with a MA degree in Design Products. He is member of London based collective ‘OKAY Studio’ and moved to Barcelona in 2011 where the studio is currently based. 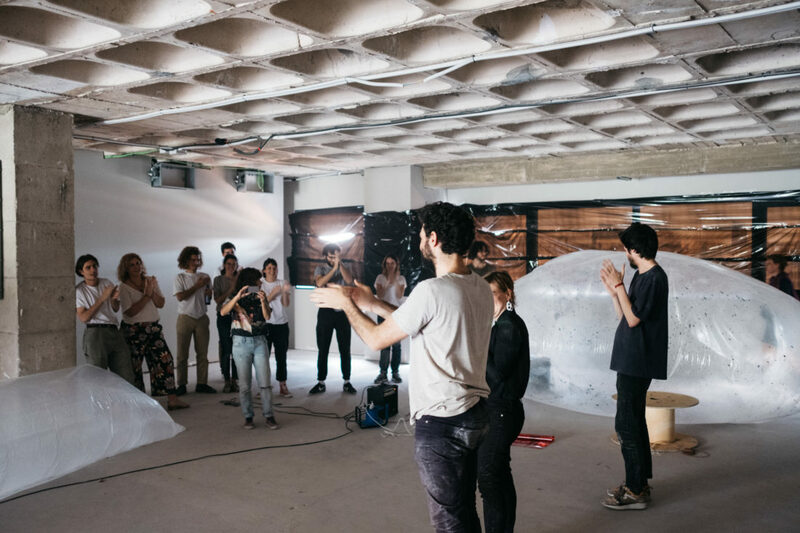 Jordi’s practice develops from a conceptual base onto prototyping and testing with a direct approach to materials. His various projects on light follow an interest in the expressive potential of light understood as a material. He works in a wide range of fields from product design, product development, art direction, interiors and one-off production. He also lectures and run workshops internationally. Jochen Holz is a glass artist whose innovative employment of lampworking–a form of glassblowing used primarily to make scientific equipment–is repurposing the technique in the art world. Indeed, whilst he has received training in scientific lampworking, Holz has chosen to practice it creatively, a radical departure from its traditional usage which positions him as one of the only people working in his field in the UK. Through extensive practice, Holz has developed a distinct language in his craft. One example is his method for texturing clear glass tubes by pressing molten areas onto different surfaces such as perforated metal or wood, resulting in textured, undulating tableware. Always pushing perceived ideas of his material, Holz sees this tableware series–enriched with character, shape and history–as the antithesis of Walter Benjamin’s idea that glass is a ‘material with no aura’. His work with neon is similarly original. Examining the possibilities of sculptural lighting, he bypasses the conventional thin, wall-mounted lamps and opts instead for thick borosilicate glass tubing to create free-standing 3D shapes and immersive light installations. 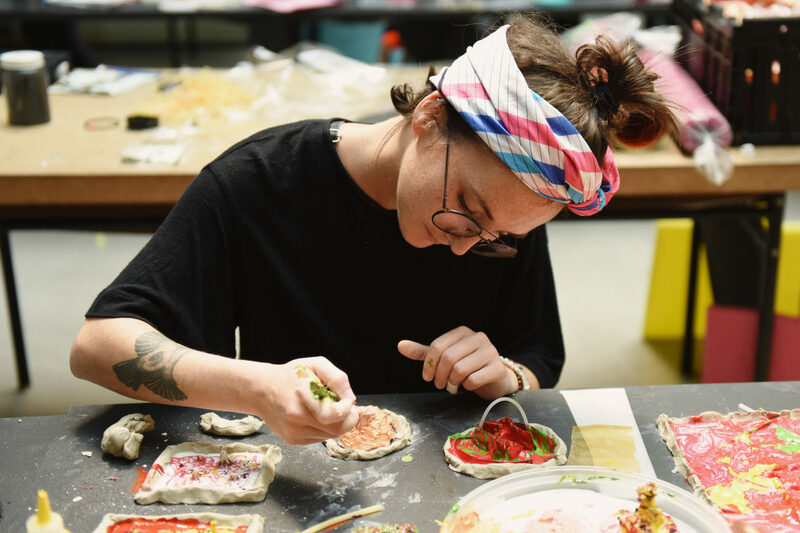 Holz has developed work in a range of contexts from fashion jewellery for Peter Pilotto’s AW17 show to gallery work with See-ds and numerous design fairs such as Nomad Monaco and Miami Basel and Tresor. He has taught lampworking around the world from experimental research program RoboGlass (University of Taipei, Taiwan, 2014) to From 2d to 3D (Domaine de Boisbuchet, France, 2014) and London’s Festival of Stuff (UEL, 2016). 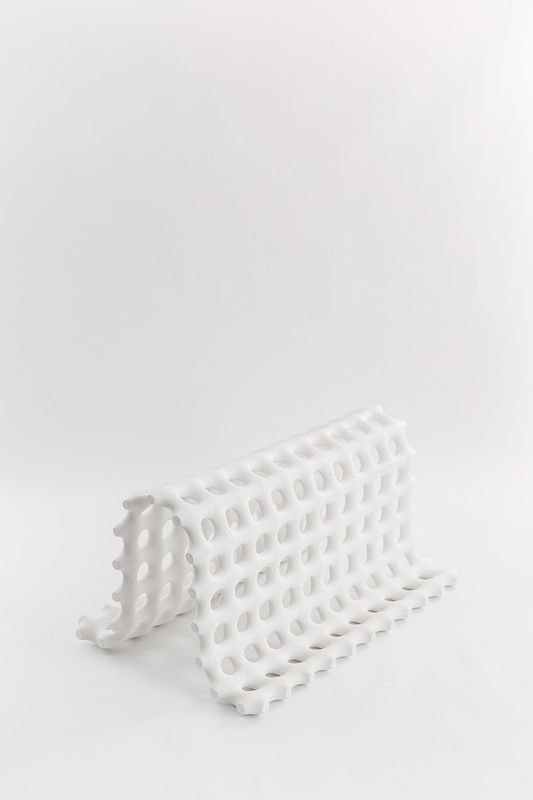 Formabesta is a collective of artists formed by Salvador Cidrás, Juan Cidrás and Vicente Blanco that explores the limits of the ceramic and textile from a sculptural perspective, focusing on the shapes and textures of the landscape and architecture of their immediate surroundings. Their training is sculptural and pictorial, and they formed the artistic collective in 2016. In the case of ceramics, their pieces are inspired by the constructive solutions of rural Galicia: impossible and improvised combinations of corrugated metal and panels overlaid on the roofs. The Uralito series is created from assembled pieces, joining ceramic planes with relief. In the case of textiles, they investigate the three-dimensional possibilities of the looms. They take advantage of the flexible base of the warp to develop spatial relationships between the texture provided by the fabric, the wood or the metal of the frame and the plane of the wall. The monochrome compositions allow them to create designs with textures using different thicknesses of wool. 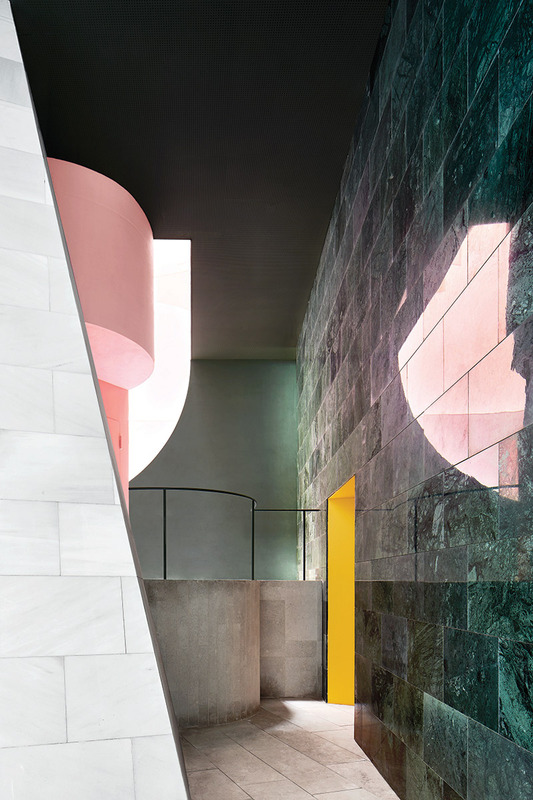 Takk (Mireia Luzárraga + Alejandro Muiño) is an architecture studio based in Barcelona and Madrid. 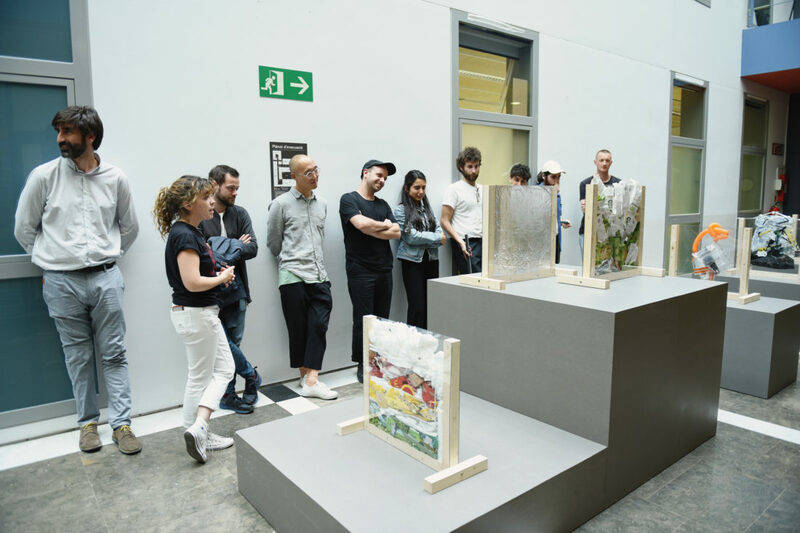 Their work has been legitimized in several international meetings such as the Venice Biennial 2014, the Orléans Architecture Biennial, the San Sebastián 2017 Architecture Biennial and the current Venice Biennial among others. Part of his work belongs to the collection of the FRAC Center Val de Loire. Among the prizes to his work include the Fad Prize for Architecture and Interior Design 2011, the Selection in the Fad Prize 2014 and 2017, and have been cataloged in the last two editions of the Arquia Próxima Prize that includes the 120 best works from architects under 40 in Spain. Their work has been recognized in national and international forums and widely published, and exhibited among others at the Center for Contemporary Culture of Barcelona (CCCB), at the International Art Fair ARCOmadrid, at the Museum of Contemporary Art of Barcelona (MACBA), at the Cigarreras Cultural Center of Alicante, and at the Promotion of Art and Design (FAD). 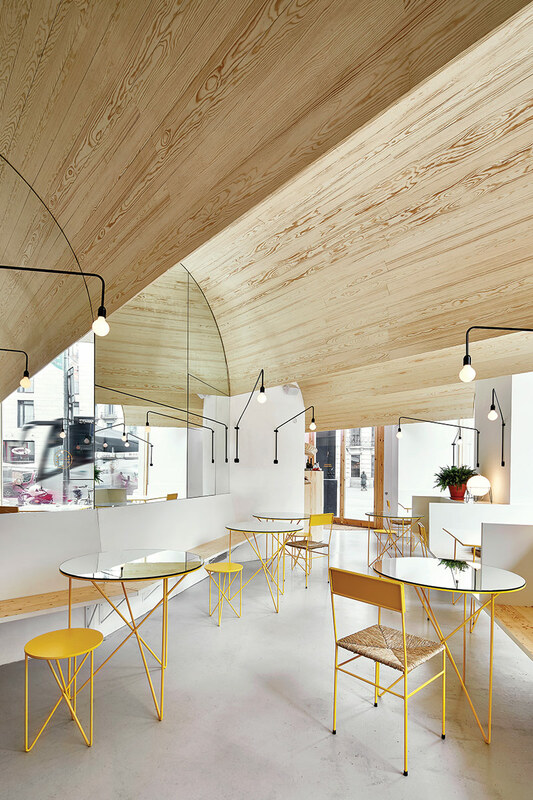 In parallel to their professional practice, Takk develops his workspace in the teaching and research field. 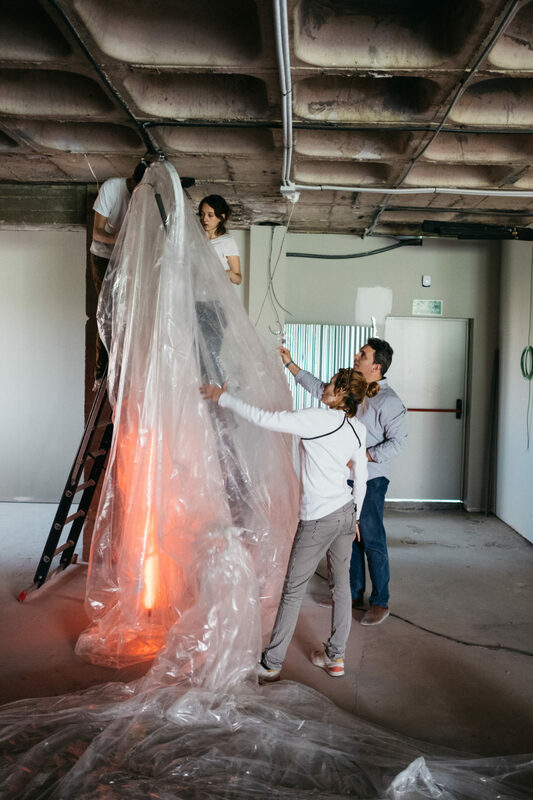 Mireia Luzárraga and Alejandro Muiño are currently professors of projects at the Higher Polytechnic School of the University of Alicante, at the BAU School in Barcelona and Master Tutors at the Institute of Advanced Architecture of Catalonia. They have also participated as teachers in different workshops and summer schools, and have explained their work in conferences organized by institutions both nationally and internationally. Download the full press clipping here. The festival has been carried out by Diego Ramos, Saúl Baeza (curators) and Tai Sans, with the collaboration of Guim Espelt. Graphic design by Raquel Quevedo. The team wants to appreciate all the participants, universities, companies and entities that have been involved in a way or another. Thank you for the support!